Tom Cruise Talks M:I6 and ‘Edge of Tomorrow’ Sequel! With Mission: Impossible: Rogue Nation set to hit theaters this week, it may be a little premature to talk about sequels. But never let it be said that star Tom Cruise lacks confidence in his projects. Usually a sixth installment of a franchise like this would depend on the box office receipts, but with the positive reviews already trickling out, it looks like Cruise is sure that we’ll get another Mission: Impossible film. If they do begin filming as early as next summer, this could be the quickest turn-around in between sequels for the series. I pitched it to [Rogue Nation director and Edge of Tomorrow screenwriter Christopher] McQuarrie and [Edge of Tomorrow director] Doug [Liman]. We were there one night and I was like, I’ve got an idea for it. Very vague. The first film earned its ending and left things resolved, but if the studio thinks that money might be made and Tom Cruise wants to do it, odds are it will find its way to the big screen. Cruise also talked about Emily Blunt, saying she would have to be involved if they moved forward. 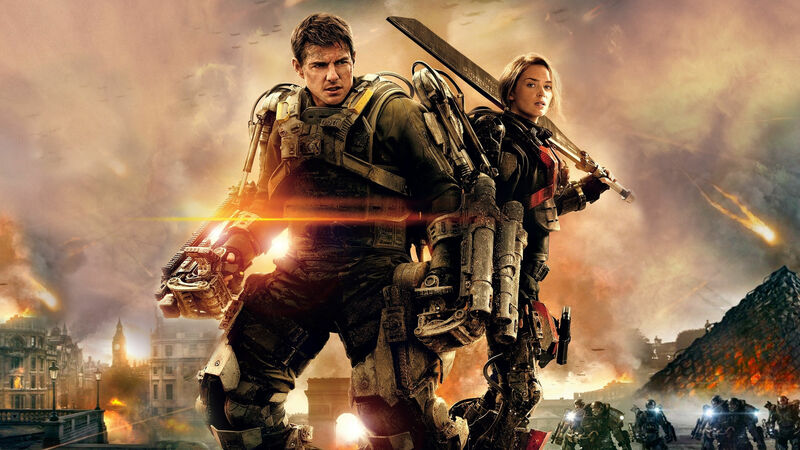 Edge of Tomorrow was a great film and frankly does not need a sequel. I liked that it felt like the focus was on making one great film, rather than setting up a franchise to be milked over and over again. Hopefully this is just talk that will go no further. What do you think? I’d rather see more Mission: Impossible entries than another Edge of Tomorrow film. This entry was posted in Breaking News, Film and tagged christopher McQuarrie, doug liman, Edge of Tomorrow, Edge of Tomorrow 2, Mission Impossible, Mission Impossible 6, tom cruise. Bookmark the permalink. They Say This Cat ‘Shaft’ is a… FUNNY (?) Mother- Shut Your Mouth!